Millions of years ago the Indian landmass collided with Asia and formed the Himalayan Mountains, which have been growing ever since. The immense range is where 9 of the world’s highest peaks are found, one of which boasts the highest elevation on Earth, Mount Everest. Over a thousand miles away from Everest, in northern Pakistan, lies the foothills of the Salt Range. A shallow sea located there evaporated long ago, leaving behind tons of crystallized sea salt that’s buried deep below the mineral rich mountains. This is where most of the Himalayan pink sea salt is found and mined. There are a number of excellent health benefits that Himalayan salt offers and you need not eat it to get all of them. Lamps made from the salt can do wonders for your health and home thanks to their natural air cleaning ability. 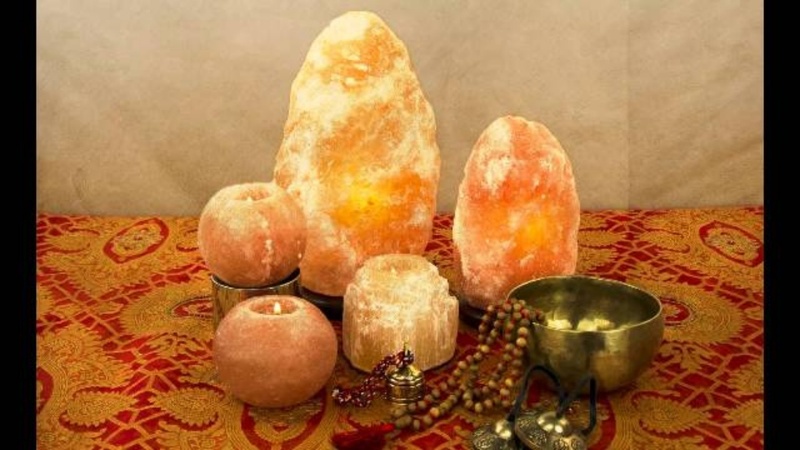 The salt lamps generate and give off negative ions which are oxygen ions that have an extra electron attached to them. They are found in nature near rivers, waterfalls, and other bodies of fresh flowing water. It’s believed that when we breathe them in they react with our bodies and produce positive effects. When people report feeling happier, clearer, and more refreshed around these water sources, it’s generally attributed to the negative ions they are taking in. Think about and imagine the fresh air that comes after a thunderstorm, that air feels so good because it contains vast amounts of negative ions. The lamps leave your mind, body, and health all better off and all you have to do is switch a light on. To truly harness the healing power of salt lamps they should be placed all throughout the home and especially near electronic devices. While one single lamp will have a positive effect, it won’t be strong enough to impact your health, so make sure to use several. Also, eating pink Himalayan sea salt is even more beneficial to your body than regular table salt, but that’s a whole other story. Check out the video for more information and try out a few Himalayan salt lamps if you haven’t already done so yet!